We sell discount tires of all the popular brands for cars, for SUVs, light trucks and pickup trucks. We offer a wide variety of various discount tires manufactured in China, also referred to as Asian tires or Chinese tires. 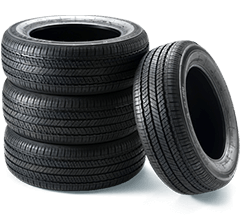 Discount tires made in China are not bad, but they are not as durable as other winter tires or all-season tires manufactured by major brands. For more information on Chinese tires, visit our blog. 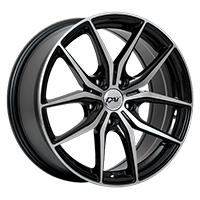 We also sell discount rims, replicas, alloy wheels and steel wheels. We even offer custom wheels at low prices! Buying in large quantities give us the opportunity to get the best prices. When purchasing wheels, you'll have the option to add TPMS valves to your cart. Our price is a lot cheaper than at the dealer and we install the valves on your wheels at no charge if you select the free mounting and balancing option before shipping. And at low price everywhere else in Canada! We deliver everywhere in Canada at the lowest price possible... And shipping is completely free in most major cities across Canada for orders of two (2) tires or wheels and more. For more details on shipping, click here. Shop discount tires and cheap wheels, available online, shipped to your door or to your favourite garage, already mounted and balanced... Those are some of the PMCtire advantages.